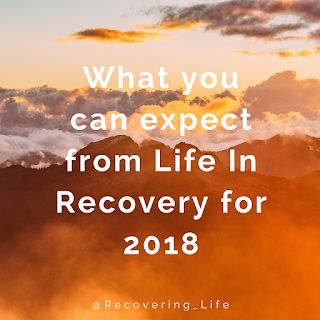 I started Life In Recovery with the sole aim to help people find hope and help if they (or their loved ones) were struggling with a long-term illness. I have been quite careful (and conscious) that I use my own experiences to that end, while not making this corner of the internet about me. That is why I have never said my name, nor shared a lot of intimate detail about my past, present or future life; I have always felt that would get in the way of providing help and hope, and it isn't something I find comfortable. However, there have been times when I have shared some of my more personal moments; for example, my anniversary posts (check out year one, year two, year three, and year four if you've missed them). This week marked another big moment in my recovery, and I wanted to share some of the words I wrote to friends and family members on here too - as you, and this blog, have also been part of the story. 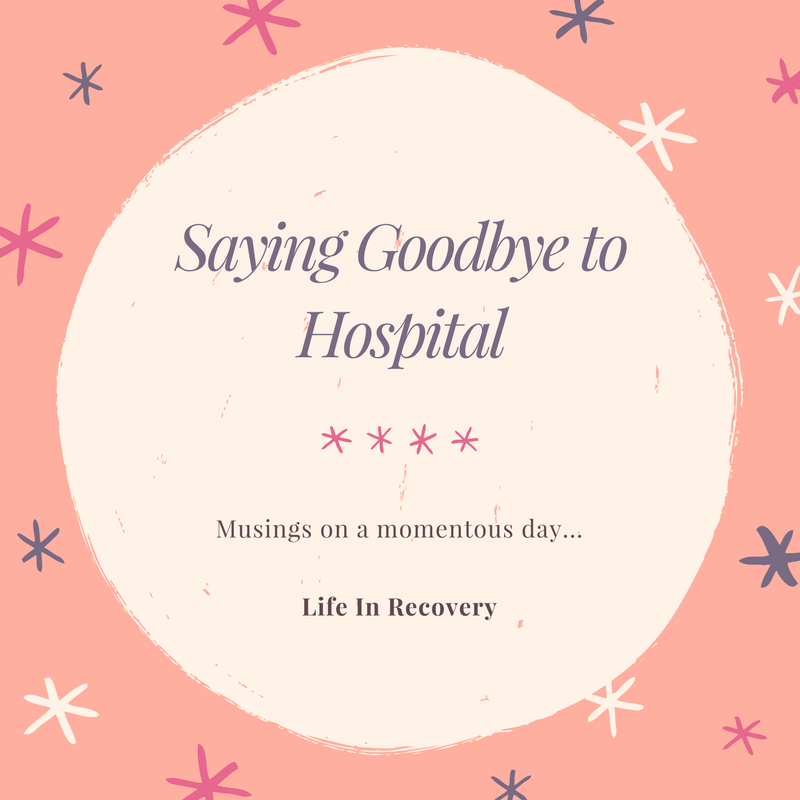 Today marks a big moment in my recovery; my last hospital appointment. I told my doctor I felt I was ready to stop attending appointments back in May, and it's taken eight months to get to this point. 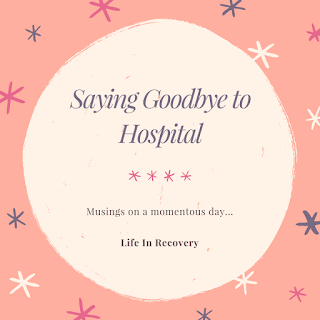 After years of meetings and treatment since my discharge as an inpatient in August 2013, to say that the relationship my doctor and I built during the past four years (a momentous period of my life) became a very important one, is an understatement. Finishing that chapter, and leaving that relationship, has been a big step; but one that I chose and feel ready for. Today I said goodbye to my doctor (with smiles, tears and big hugs), today I was able to try and thank my doctor, today I moved into a new phase of my life, today I reflected on how far I've come and today I was made to realise just how far that is. If you're reading this, it means you've been part of the story so far (even if it's just been in the last chapter, or the latest page), and it means you'll be part of the rest of my onward (and hospital-less) life. For that I thank you, and I'm so excited to see where life takes us all. It's been an incredibly emotional day; I've been through stacks of tissues...but now it's time to dry my eyes and look forward. Anyway, here ends the thought-vomit, it just leaves me to say how grateful I feel to be where I am in my life, and to say a very heartfelt and extra-special thank you to those of you who helped me get here - I couldn't have done it without you. " This is how I felt on Wednesday afternoon. I do, however, want to write up how I am feeling now - a couple of days later - and also see how I feel in a couple of weeks, so there will be another blog post on that in the next month or so. Have their been therapeutic relationships you've found hard to let go? “Sleep is that golden chain that ties health and our bodies together” said Thomas Dekker, a writer in the Elizabethan times. And boy, was he right! Sleep (or lack thereof) is such a hot topic. Recently, the world has started waking up (pun intended) to the fact that getting good quality sleep is one of the foundations of a healthy life. 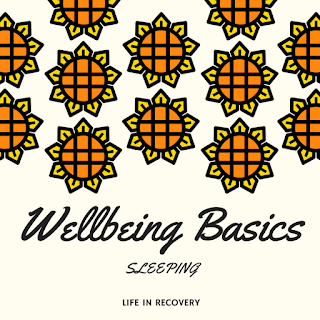 This article will try to answer a few of the most common questions about sleep and hopefully help you to get a better night’s rest - one of the basics of wellbeing, and my first piece in the series. Sleep improves not only your physical health, but your emotional health too. Studies have shown that adequate sleep can help aid memory, reduce inflammation, improve our immune system, boost our ability to learn, improve mood and so much more. Chronic sleep deprivation (regularly getting less sleep than you need) is becoming a global issue. The impact of not getting the optimum amount of sleep can be serious. One study has found that not getting enough sleep is more dangerous to your health than smoking, having high blood pressure or heart disease. While this may sound like scare-mongering, lack of sleep (or sleep debt) can seriously impact your quality of life. For example, you may find that you put on weight, are less able to focus, feel anxious or get ill more often if you are in a state of sleep debt. What are the different phases of sleep; what do they mean for me? There has been a lot of research into sleep and the theories are still developing, but the general consensus is that there are a few different stages of sleep. One of these is REM (Rapid Eye Movement). This type of sleep is the most ‘active’ part of your sleep – this is thought to be the stage where you dream. In REM sleep, your brain can be as active as it is when you are awake. Your brain is not only processing the events of the day, but also doing a bit of ‘waste management’ by clearing away toxins and strengthening/weakening connections in our brain. Another kind of sleep is NREM (Non-Rapid Eye Movement). This can be further broken down into four stages. Essentially, the last two stages of NREM are the deepest parts of your sleep. This is when your body heals and restores itself. Hormones are released which build muscle, energy is replenished, tissues are healed, blood pressure and heart rate drops. Hopefully this shows you that, far from being a waste of time, sleep is a key component in rebuilding, renewing and maintaining a healthy and happy life. 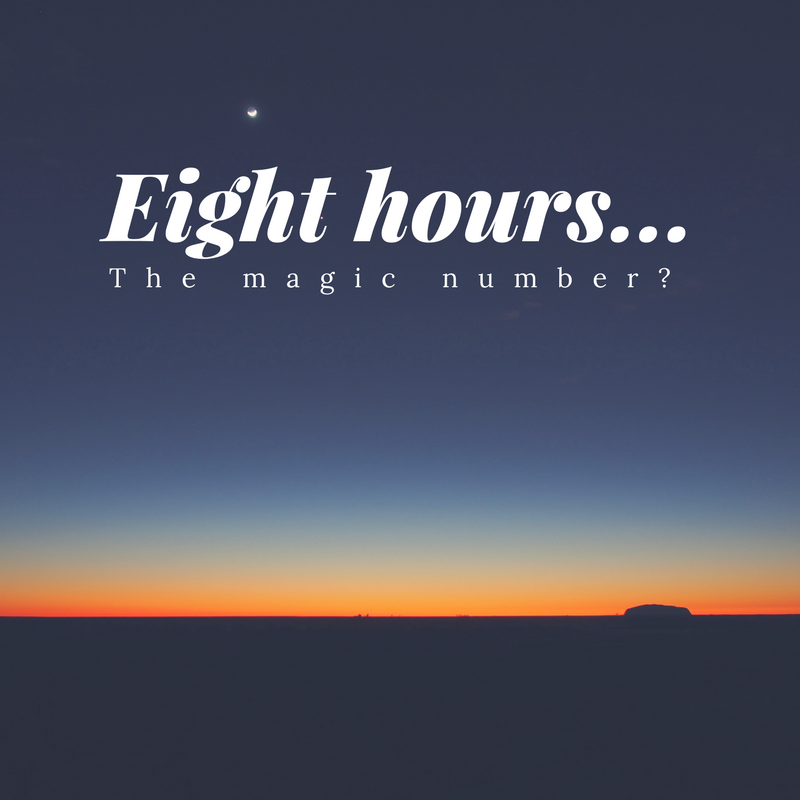 Why is eight hours considered the ‘magic’ number? 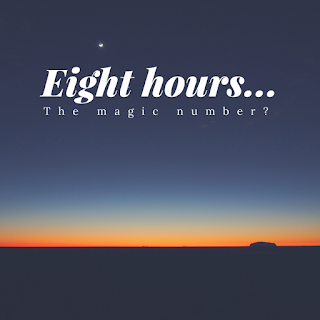 There is a theory (much touted) that eight hours is the perfect amount of sleep to have. However, this theory is being challenged. Some people seem to need less, some more. There is such a thing as sleeping too much; this can actually be as harmful as not getting enough sleep. How much sleep we need can depend on many things such as our age, life events, and illness. I think the answer to this question lies with the individual. Ask yourself if you feel at your best with five…seven…ten hours of sleep. If your answer is different from the amount you usually get, then something needs to change for you to get your optimum amount of sleep. I can’t get to sleep – how do I sort this out? Our modern day lives are not allowing us to get enough sleep, but they also are damaging our ability to ‘wind down’ and switch off. Sleep hygiene is a new-ish concept and I made a video talking about some simple habits to help improve sleep here. With our addiction to the internet and smart phones it’s incredibly easy to remain hyper-active and alert during the hour or so before bedtime. We bring TVs and phones into our bedrooms which, I believe, are one of the main causes of not being able to get to sleep. Screens emit blue light which cause our body’s circadian rhythm (our body clock) to malfunction. Blue light can interfere with the production of melatonin, the hormone that regulates sleep. If you don’t feel tired, the chances are that you’ve been late-night texting or watching your favourite series on Netflix in the wee hours. If you need to use your screens in the evening, you can download f.lux – free software that adjusts the light levels on your screen and helps reduce the impact of blue light. Eating a sensible meal before bed can also help a lot. Avoid fatty, starchy, sugary foods and make sure you eat enough. If you feel peckish in the night – get up and eat something like a banana. Regular exercise is important in helping you sleep. Just don’t exercise too near bedtime as this can stimulate you and interfere with your body clock. If you want to do some exercise near bedtime, I would recommend light stretching or yoga, as this isn’t too strenuous and can prove relaxing. Worry and stress can certainly play a big role in being ready for sleep. While there are a lot of things that can help you relax, one of the best things to do is to have a pad of paper and a pen by your bed. If something is really exercising your mind, write it down, get it out of your head and address it in the morning. This way you shouldn’t have to spend all night ruminating over it, or worrying you’ll forget something. If I only did three things to help sleep better what would they be? Set yourself a cut-off time for electronics – e.g. 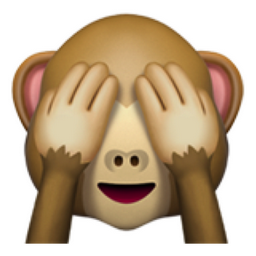 "from 10pm I won’t look at my phone until the morning or watch TV." Have a relaxing routine at the end of your day: take a bath; make a cup of herb tea; read a chapter of a book; have a chat to a loved one. This creates a lovely ritual and can help you wind down and relax, meaning it’s easier for you to settle at bedtime. Keep your bedroom clutter-free, calm and cool as your bedroom has to be conducive to sleep. Having a messy and chaotic room can result in you feeling the same way! How much sleep do you get a night? Have you got any tips that mean you get your forty winks? 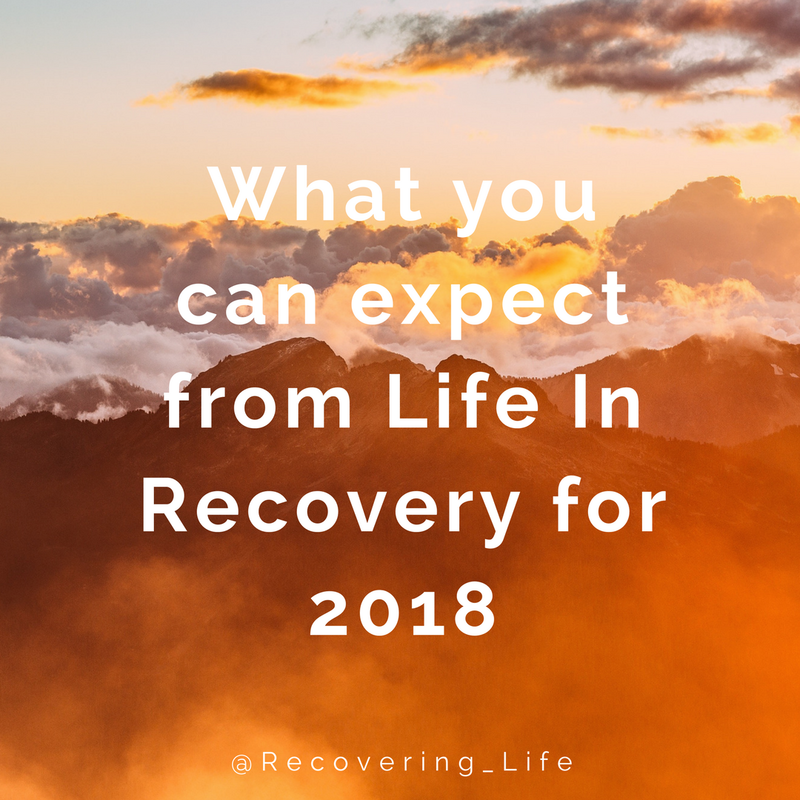 I'm not normally one for making New Year's Resolutions (the reasons why can be found here in a post I wrote in 2014) but...this year, I feel it would be good to set out some aims for this blog. Creating goals (and making them public) can help you re-focus and achieve; and I think this blog needs a little tweaking and for you, dear audience, to know what to expect from 2018 and this little corner of the internet. 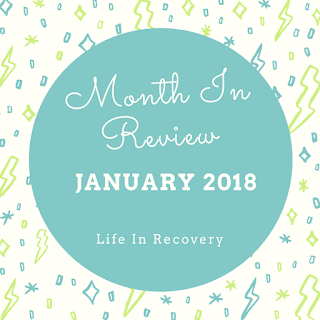 Month In Review pieces will be posted every month with the same categories. However, they will normally be word-based, unlike previous ones in video format. Life has been getting in the way of me filming, editing and uploading! Videos - I will be continuing to film videos and post them on YouTube, as and when ideas come to me. As always video requests are very welcome. Recipes - there were a bunch of new recipes posted in 2017, and I want to continue that. There will be healthy, nutritious and delicious new ideas for your table and tummy throughout 2018. Instagram - I am aiming to build more of a community on Instagram. Come and join me! 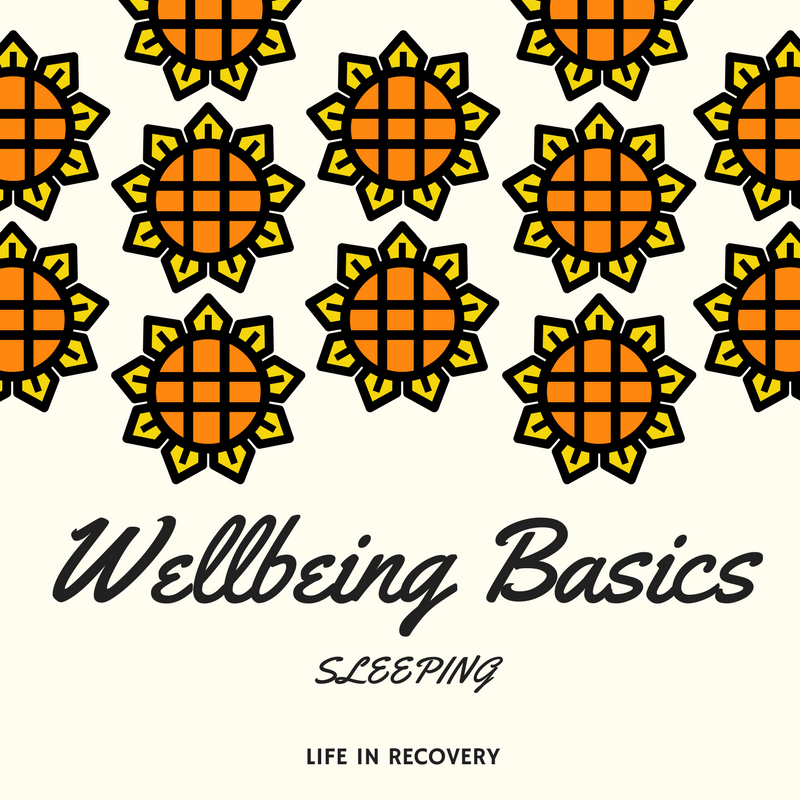 Wellbeing Basics - I will be launching a new series called 'Wellbeing Basics' which provides tips and resources on how to achieve (and maintain) good health and a happy life. I think we can often neglect our most basic needs, and sometimes need a little reminder to sleep, exercise, eat and rest well. YOUR REQUESTS - I filmed a few request videos in 2017 and I loved doing it, knowing what you wanted to see and then providing the information. I would love to do that a little more often. So if you have any burning questions, need help on something specific, want me to research a topic or just have a general idea - please let me know. That way, I spend my time making content you really want, and that will make a difference to you and hopefully help. My 2018 life lessons and favourites published at the end of the year - one of my favourite things to write, and you seem to love reading them. If you missed 2017's the favourites are here, and the life lessons are here. Twitter use - while I am not ditching Twitter for good (it's definitely one of the best ways you and I interact with each other), I have become a little disillusioned with the medium for a number of reasons - you may have noticed I've been a bit absent. So while you won't see so many streams of consciousness or random conversations, my account will be re-focused on the blog - it's original goal. Please don't stop chatting to me on Twitter though - I love hearing from you, and all 600+ of you who follow Life In Recovery on Twitter.